Today, we embarked on a journey that all great scientists fear: explaining our projects to middle schoolers and those younger. It was a fearsome task. It’s not easy to explain how a tattoo-based biosensor for detecting atherosclerosis works to a curious seven-year-old. However, like all great scientists, we managed to overcome the obstacle with persistence and bravery. 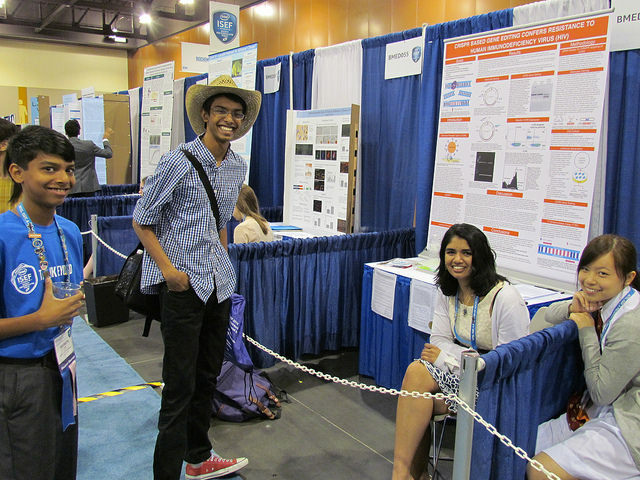 Public day was an informal version of judging day, and it really emphasized the parts of ISEF that make it so great. The team discussed genetics with a team from Singapore, explained complex experiments in simple terms, and even posed for some cameramen roaming the fair. 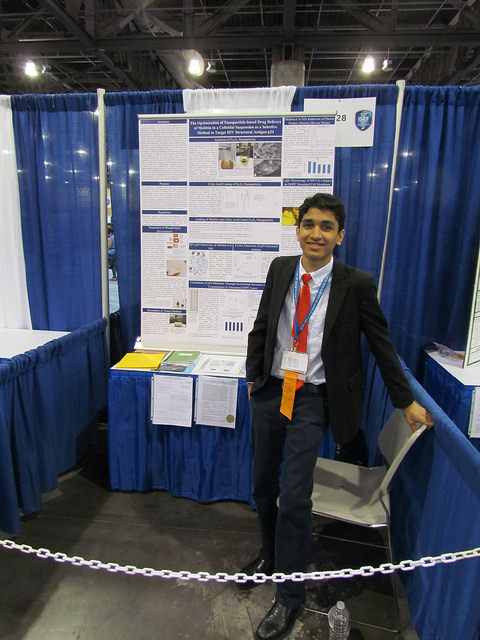 It’s only in ISEF that a high school student can have a vivid experience like that. 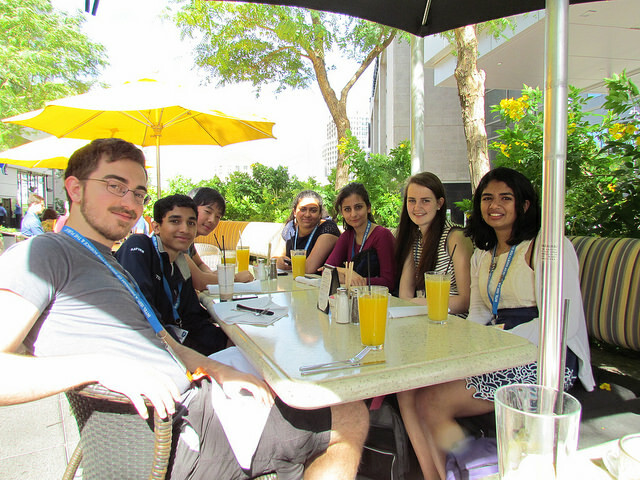 The team really got one thing out of public day that is the essence of ISEF: making new friends. Christo met someone from Romania who was very jovial and though he complained about how expensive the food was, Christo felt that he had made a new friend. Sanju took pride in his Indian roots and met up with a Sri Lankan who had a similar project. The Sri Lankan then proceeded to give him a business card complete with his phone number, email, and other contact info. That business card will be treasured forever. William met an international student from China who could control a prosthetic hand using electric signals from own arm. We capped off the day with the Special Awards Ceremony. It was a ceremony that really displayed the camaraderie of the scientific community. Everybody cheered as people all over the country went up to receive thousands of dollars in scholarships and awards. Overall, it was a fun experience that celebrated the power of science.